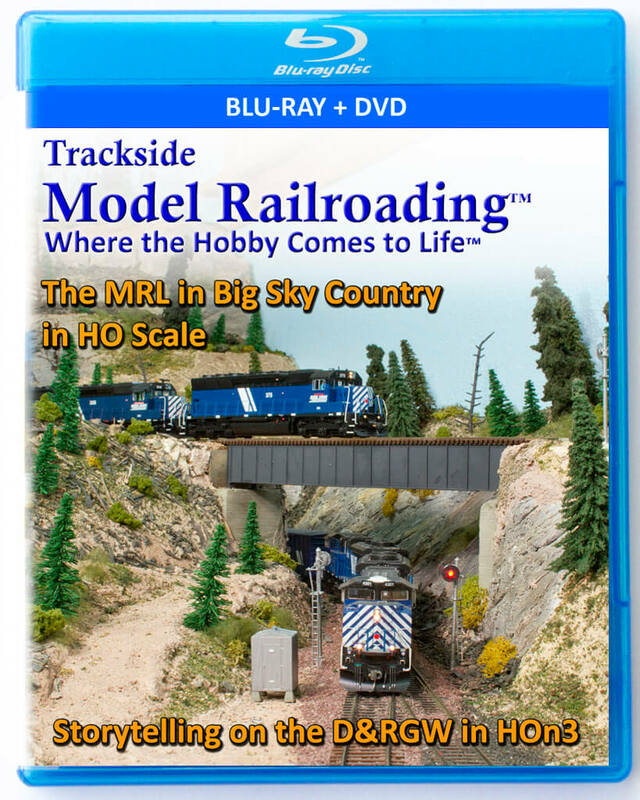 Watch the Union Pacific’s long freights on the steep grades in the Blue Mountains of northeastern Oregon. 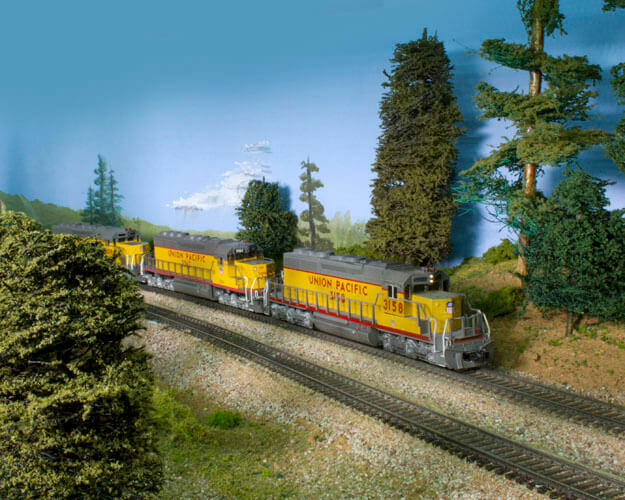 The multi-unit consists based in the 80s-90s haul freights on Bill Arseneau’s version of the Union Pacific’s La Grande Subdivision from Nampa, Idaho to Hinkle, Oregon. You’ll also see the Pioneer traveling the line as it travels its regular route from Seattle to Salt Lake City. 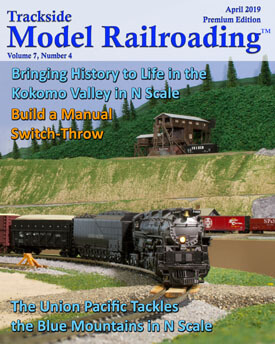 We share video, photos, a partial history of the UP, and how Bill the N scale multi-level layout. 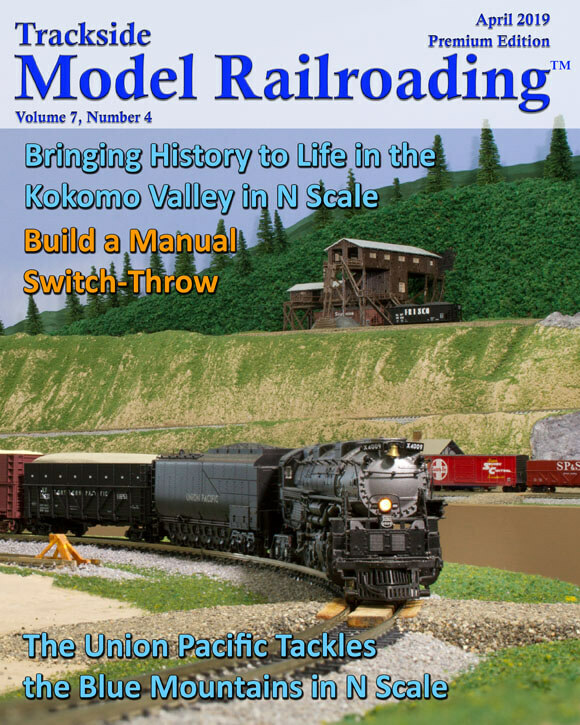 We show you how to build your own manual switch throw similar to the ones John Pettigrew built for the Kokomo Junction. 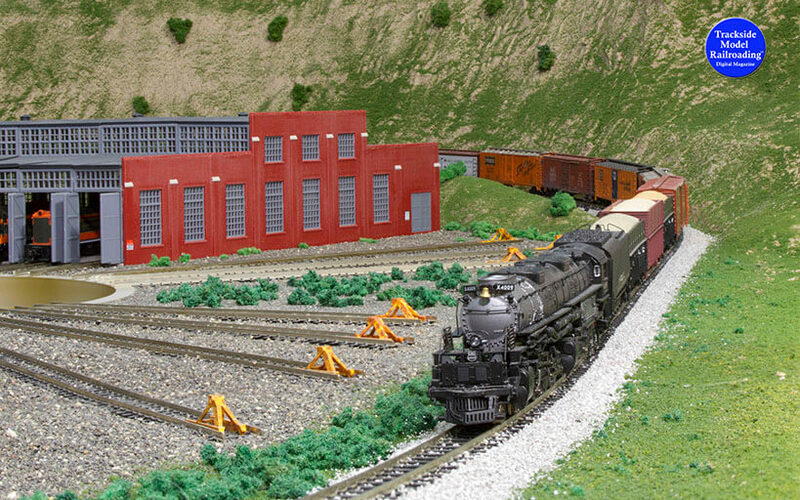 It’s a simple project suitable for anyone who has a layout ready for turnouts.